Tower Hamlets Rotary - Welcome! Welcome to the London Borough of Tower Hamlets, the home of Tower Hamlets Rotary. 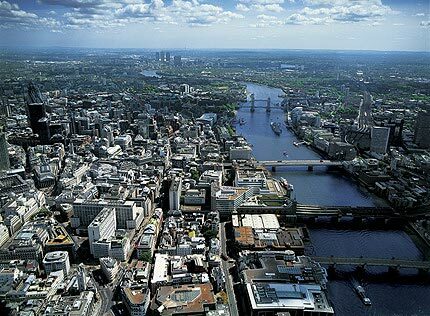 The London Borough of Tower Hamlets, population 186,700, is situated to the east of the City of London. Within its boundaries is the Tower of London and Tower Bridge and the new business “city” of London Docklands including Canary Wharf, previously the area of London Docks. The area contains some of Britain’s most economically deprived communities. It has been home to successive waves of migrants including the Huguenots, the Irish, the Jews and most recently many Bangladeshis principally from the Sylhet region of Bangladesh. Tower Hamlets Borough is an amalgamation of four smaller geographical boroughs each of which had their own Rotary Clubs of which two remain. The multi cultural, dual gender Rotary Club of Tower Hamlets (formerly RC Stepney) was formed in 1929. At that time the London borough of Stepney had a larger population than the four amalgamated boroughs have today – such was the level of overcrowding. Historically crime arising from the dock culture was significant – indeed Bill Sykes originated from East London - and in 1968 major London gangsters – the Kray twins were arrested. The East End was a setting for some of the most famous detective and mystery thrillers ever written. The novels of Arthur Conan Doyle, Edgar Wallace and Arthur Anthony Ward created images featuring criminal malfeasance of the deepest hues, involving the immortal characters-Sherlock Holmes and the evil genius of Fu Manchu, among others. The East End is also famous as the stamping ground of the first world-famous serial killer: a man who subsequently became celebrated as Jack the Ripper. In 1888, between Friday 31st August and Friday 9th November, he savagely murdered and mutilated five women. All the killings involved prostitutes as victims, and all occurred in or near Whitechapel, a squalid, densely populated rabbit warren of a suburb flanking the City of London. The London Borough of Tower Hamlets lies on the left of the picture starting at Tower Bridge - the last bridge in the picture -and extends to the Canary Wharf Towers in the distance. New Delhi, India - Supporting the education of 2 girls from a leper colony. Dragon Boat Event, London Docklands.